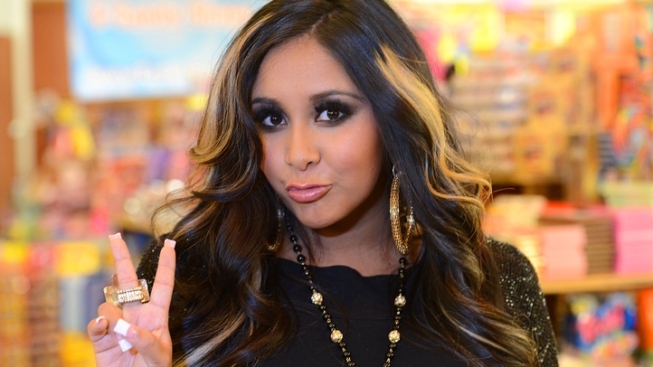 TV personality Nicole "Snooki" Polizzi is now a mother. "Jersey Shore" star Nicole "Snooki" Polizzi early Sunday gave birth to her first child, a boy. The reality TV star and her fiance, Jionni LaValle, welcomed 6-pound, 5-ounce Lorenzo Dominic LaValle into the world at just before 3 a.m. Sunday at Saint Barnabas Medical Center in Livingston, N.J., MTV said. "The world just got another Guido!! !," a Polizzi rep told MTV. "Nicole, Jionni & Enzo are doing great!" MTV congratulated Polizzi and her fiance and looked toward the newborn's possible appearance on "Jersey Shore." "We couldn't be happier for Nicole and Jionni on the healthy delivery of their baby boy!," MTV said in a statement. "We look forward to Lorenzo's first trip to the Jersey Shore and can't wait to see his first animal print onesie." MTV has said it's bringing "Jersey Shore" back for a sixth season, with the 24-year-old Snooki as part of the action, but has declined to offer specifics on how big a part Snooki will play in the show about hard-partying Italian-American friends.